Free up valuable space in your warehouse or yard and make picking stock fast and easy. 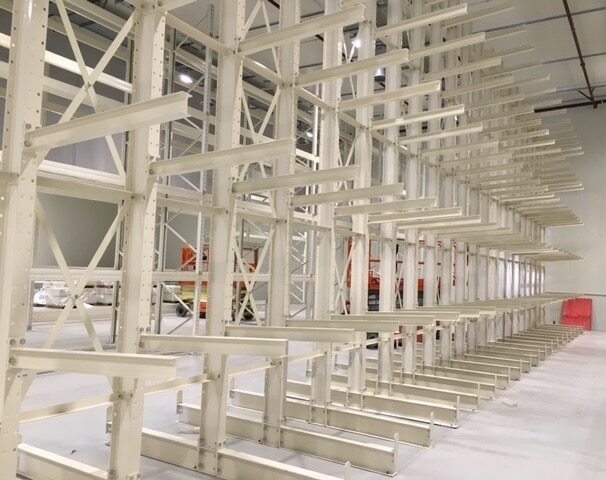 Versatile cantilever racking is excellent for long or heavy loads such as pipes or timber, and items of varying length. Loads are easily accessible from the front. Why choose cantilever racking systems? 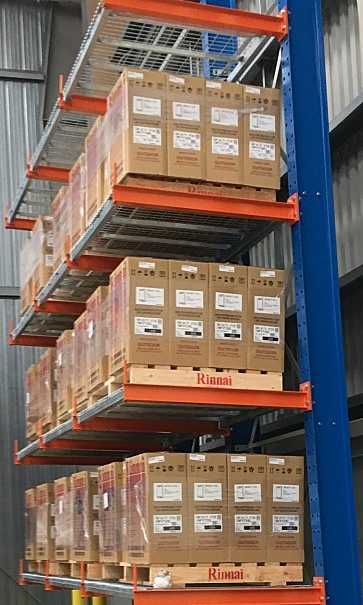 Firstly, cantilever racking is highly customisable and allows easy access to products regardless of their shape and size. It comprises of horizontal load carrying arms extending from vertical columns, which means there are no vertical uprights in the way when to worry about. Secondly, cantilever racking can be designed to virtually any length and is available in both powder-coated or hot-dipped galvanised steel for outdoor storage solutions. And finally cantilever Racking is made up of four components: upright columns, a base, arms and brace sets. All of these components can vary in size. When designing your cantilever racking system it is important to concentrate on what you plan to store on them. Specifically, the weight, length, depth and width of the products. The team at PRS are able to design your racking solution for you and free up warehouse storage space.